What makes a man step into a cargo container that is going to be sealed for days? Why does he step into a flimsy overloaded boat to face a stormy sea? Or dart across international borders dodging bullets? What are the compulsions faced by men in Pakistan, which make them take extreme risks to chase a mirage of a secure future in alien lands? Set against the backdrop of the world of illegal immigration, Zinda Bhaag is a film about three young men trying to escape the reality of their everyday lives ... and succeeding in ways they had least expected. 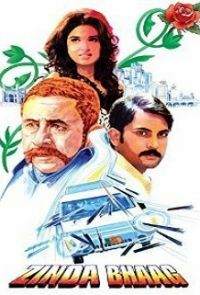 In a nondescript neighbourhood of Lahore, three friends are desperate to get on to the fast track to success. Khaldi, Taambi and Chitta, all in their early twenties, believe that the only way out ... is to the West. 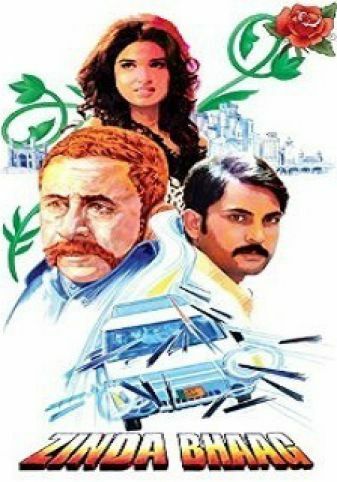 The journey that unfolds through the story of this film gives us a peep into what constitutes the everyday in the lives of many young men and women in Pakistan - a sense of entitlement that cannot be fulfilled, desperation to somehow prove themselves in the face of all legitimate doors being locked and an ennui from which they feel there is no getaway.